The GLXD14R/B58 Handheld Wireless System is part of the GLX-D Advanced wireless systems family. It is a professional-level wireless system that is ideal for business presenters, broadcasters and everything from auctioneers to square-dance callers. 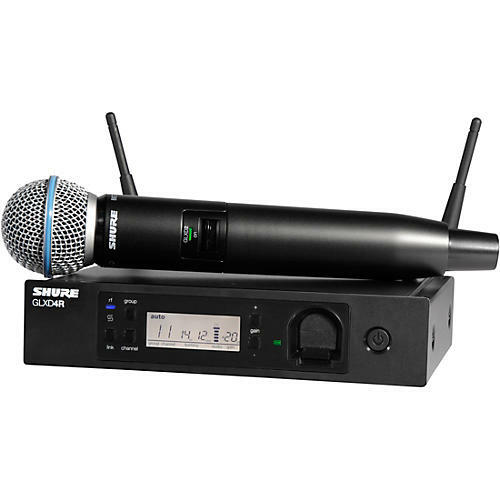 This package includes the GLXD4R rack mount receiver, a BETA 58A vocal microphone, SB902 rechargeable lithium-ion battery, USB charge cable, 2 detachable antennas, rack mount hardware, and a user guide. Professional handheld wireless with everything you need. Order today.